Goshman sponge balls are renowned as the best sponge balls available on the market, and these 1.5-inch ultra soft sponge balls are no exception; quite simply the best sponge balls available today. 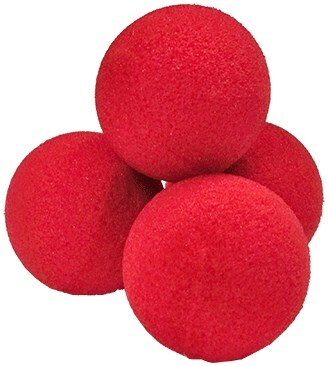 A package of 4 high-density ultra soft sponge balls in red, allowing you to conceal and load more than usual. As a bonus, your purchase also includes five simple effects and care instruction sheet.